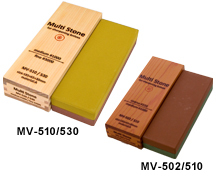 Professional series of high-end stones. 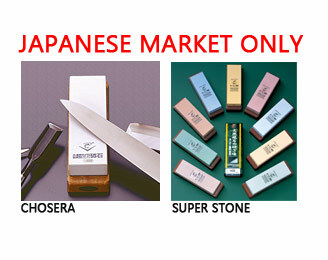 Overseas model of a high grade "Super stone" in Japan. 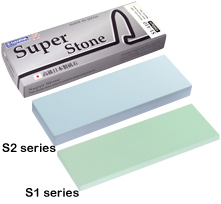 Bonding the two Super Stone S1stones (10mm thickness) in the glue. 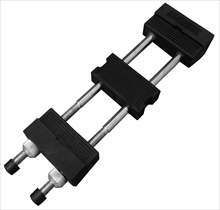 Choice of grit combination is from all grit size. Availability of combination grit may differ by dealers. 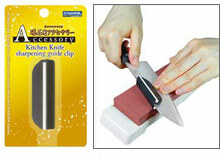 Better choice for Sharpening and finishing with one stone. 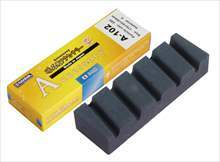 Overseas 20mm thickness model of a high grade "Super stone" in Japan. 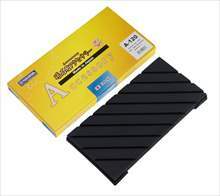 Overseas 10mm thickness model of a high grade "Super stone" in Japan. 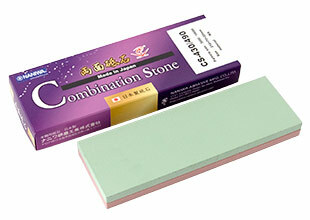 Good quality combination stones for multi purpose with well-balanced quality or price. Accessories designed to enhance your experience with NANIWA stones. 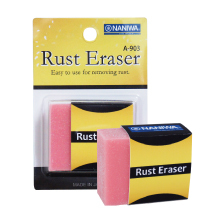 Copyright 2011, Naniwa Abrasive Mfg.Co.,LTD.